The journey can be difficult for someone returning from time in jail, time in active military service or time on the street. It is even more difficult when facing serious health issues. Old Pueblo Community Services (OPCS) provides valuable healthcare and other services for these vulnerable populations and has been able to improve care through connecting to Health Current. 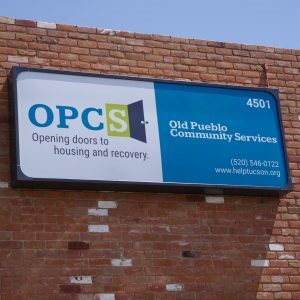 Over the past 20 years, OPCS has been helping their clients with a smoother transition back into the community and has seen tremendous growth. In the 90’s, OPCS began as a grass roots organization to fill the gap and help with the housing needs of people being released from prison. Today, OPCS provides behavioral health services and housing to over 430 clients including veterans, post-incarceration patients, homeless individuals and substance abusers, and is set up to receive Alerts on these clients. Every OPCS client is assigned a recovery coach who guides their client throughout their transition. OPCS utilizes three different types of Alerts from the HIE – outpatient, inpatient and emergency department (ED) Alerts. When the staff at OPCS receives an Alert, they first identify the type of Alert and the particular client involved. Then, OPCS contacts the recovery coach who coordinates the best care for that client. Since OPCS provides clinical services to some of their clients it is important to know where they are in the healthcare system so that the staff have the option of locating a patient when it’s time to come back to OPCS for housing or clinical services, according to Phillip Pierce, Data Integrity Specialist at OPCS. “The number one benefit of receiving alerts from the HIE is the reduction in time for coordination of care and direct services” Pierce said. “The HIE eases the process of understanding the client’s history in order to identify a level of need and care”. Today, OPCS offers many services to their clients, one of their larger services being housing. Clients and patients are placed into housing based upon their needs. Four types of housing are available through OPCS, Emergency Shelter (less than 90 days), Transitional Housing for those reintegrating into the community from incarceration (less than 90 days), Rapid Rehousing for clients who have already been identified to receive housing (less than 60 days) and Supporting Housing that only last a year or so as the client is in the process of getting their own housing. One very innovative use of the HIE by OPCS is for what they call “bed checks”. People in emergency and transitional housing are often in grant programs that pay for the cost of their bed each day. If an emergency or transitional housing client is admitted to a hospital or clinic overnight, OPCS needs to be sure the client is not charged by both the housing facility and the inpatient facility. Receiving an Alert of an inpatient admission, rather than just relying on 10:00pm bed checks, reduces the amount of errors that may occur because they were unsure where a client was or that some other administrative mistake has occurred. “Since being connected with the HIE, we now know what is going on with the client as it happens” Pierce said. “Not only does it save money, it is the best way to coordinate care on the client’s behalf”.